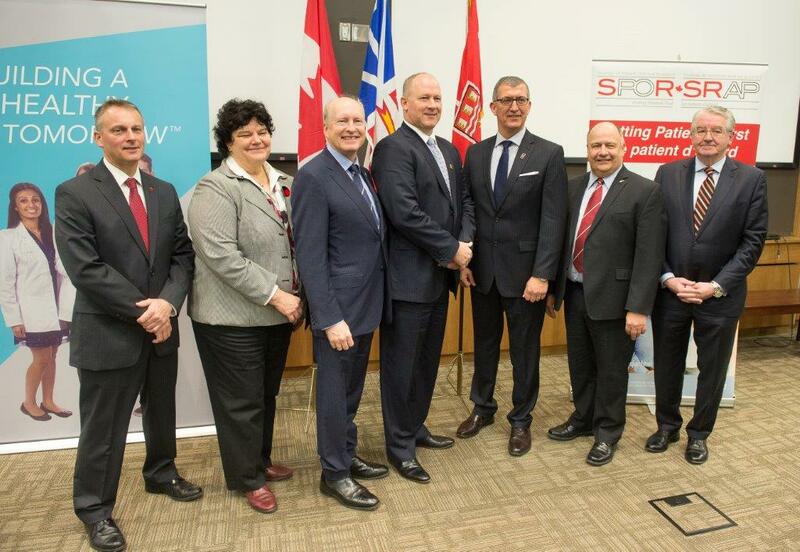 $50-million partnership to strengthen health research in N.L. Memorial University will receive $50 million over the next five years to support an unprecedented health-care initiative that will provide enhanced, personalized patient care through collaborative, multidisciplinary research. Less than 20 per cent of applied medical research is translated into a possible device, medication or therapy; the launch of the new Translational and Personalized Medicine Initiative (TPMI) aims to change that by bringing bench research to the patient’s bedside. Partners in the TPMI gathered at a news conference Nov. 27 to announce the initiative and describe how patients will benefit from the latest and most innovative discoveries in health research, designed to improve health outcomes that have been specifically identified for them. The partners are the Government of Canada through the Canadian Institutes of Health Research (CIHR) and the Atlantic Canada Opportunities Agency (ACOA), the Government of Newfoundland and Labrador, jurisdictional partners and private-sector partner IBM. 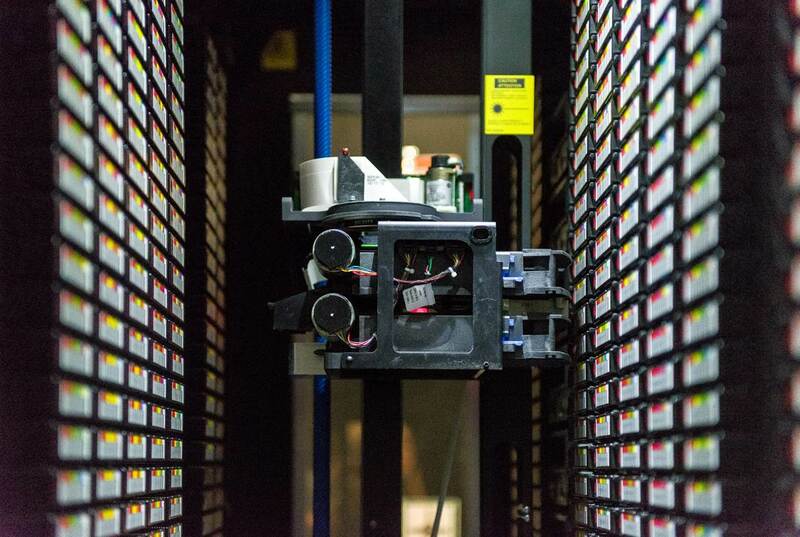 The combined $50-million investment includes $30 million from IBM, including $10 million in equipment and staffing and a further $20 million in-kind investment for big data and analytics software. Nearly $13 million for the TPMI comes from the Government of Canada through the Canadian Institutes of Health Research SPOR SUPPORT Units program ($10 million) and the Atlantic Canada Opportunities Agency ($3 million). The Government of Newfoundland and Labrador is investing $7.2 million. Premier Paul Davis said the Government of Newfoundland and Labrador is looking forward to an ongoing partnership in the TPMI. David Wells, senator for Newfoundland and Labrador, speaking on behalf of Rona Ambrose, minister of Health, and Rob Moore, minister of State (ACOA) and regional minister, Newfoundland and Labrador, said the federal government is pleased to support the Translational and Personalized Medicine Initiative as well as the Strategy for Patient-Oriented Research and the roll-out of the SUPPORT Units across the country. “These centres of research expertise reflect our government’s commitment to improving health outcomes for patients through research innovation,” he said. Dr. James Rourke, dean, Faculty of Medicine at Memorial, said the overall goal of the TPMI is a collaborative approach to enhance the use of health-care resources. Ralph Chapman, vice-resident, public sector, IBM in Canada, said this collaboration is a "terrific" example of government, business and academia teaming to meet important economic and social needs through advanced research and innovation. “This collaborative model will provide researchers with IBM big data and analytics technology and expertise to more quickly manage and analyze massive data sets around critical healthcare challenges and ultimately, help improve patient outcomes,” said Mr. Chapman. Dr. Jane E. Aubin, chief scientific officer and vice-president research, knowledge translation, and ethics with the Canadian Institutes of Health Research (CIHR), said the SPOR SUPPORT Units provide a vehicle for sharing best practices between jurisdictions. The TPMI is made up of two major programs – the Newfoundland and Labrador Support Unit (NL SUPPORT) and the Centre of Health Informatics and Analytics. The NL SUPPORT Program is part of a network of provincial and regional centres across Canada that brings together patients, policymakers, researchers, funders and health-care professionals. The program is focused on creating resources that facilitate patient-oriented research in consultation with local stakeholders to provide patients with the latest and most innovative practices, therapies and policies for improved health outcomes. NL SUPPORT was created to provide the necessary infrastructure, training and tools required to allow patient-oriented research to thrive in Newfoundland and Labrador. The second major program under the TPMI is the Centre for Health Informatics and Analytics (CHIA). CHIA will facilitate research into patient outcomes and offer insight into how services may be improved through the use of high-performance computational infrastructure and de-identified patient datasets. Memorial researchers will have access to one of Atlantic Canada’s fastest computing environments. Each project undertaken under CHIA will comply with the Personal Health Information Act legislated with the province of Newfoundland and Labrador, and will also require research ethics board approval. Projects under TPMI utilizing CHIA will address issues such as colorectal cancer, long-term care and laboratory utilization as well as others. Projects related to the Translational Genomics program include hearing loss, neurocognitive diseases, back pain, vision loss, colorectal cancer and breast cancer. The integration of data will be governed under provincial privacy and ethics legislation.